Eau Claire Communications makes sure your business’ network performs at the maximum performance available. 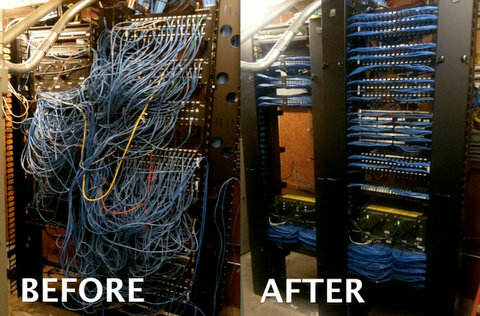 Network cabling is important to every business. Having the right cable installed professionally can affect your business’ performance over the internet and local network. Eau Claire Communications offers all types of cabling services, including voice, fiber, and security. We install data cables and construct data closets, as well as maintain the infrastructure. You can depend on us for all of your low voltage cabling needs. Contact Us To Get Your FREE Data Cabling Quote!